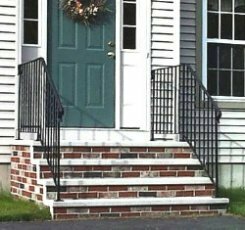 Prefab concrete steps are concrete steps that are made at a concrete supply shop, then delivered to your home or place of business, and professionally installed. Precast concrete steps are less likely to settle because they are hollow and much lighter than solid concrete steps that are made on site. Precast concrete stairs have treads, risers, and landings that are one solid piece with no mortar joints for water to seep into as could happen with real brick or natural stone stairs. Precast concrete steps can be bolted to the foundation to insure they do not move because of loose compacted ground. If settling does occur precast concrete stairs are easily manipulated and reset because of their light weight compared to solid concrete steps. Most precast concrete stair manufactures offer many different size and design selections. Some will also custom make a set of precast stairs if you have a special need. Concrete precast stairs come in widths from 4 feet to 10 feet wide and from 1 to 7 risers high. They can be stacked in unlimited combinations and set side by side if a wider set of stairs is needed. Some of the finishes available include: floated concrete finish, red brick with gray mortar joints, fieldstone, exposed aggregate, cobblestone, and granite. 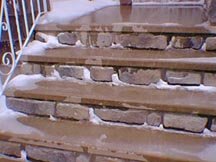 For areas that see snow and ice, heat mats can be cast into the precast concrete stairs so at the flick of a switch the snow and ice will melt away and now deicing chemicals are needed. When deciding between prefab concrete stairs and poured in place concrete stairs keep in mind that prefab concrete steps can be installed and put to use the same day. Poured in place concrete stairs may take up to three days or more from start to finish before they may be put to use. Most manufactures make their precast concrete stairs with 5000 psi air-entrained concrete. They use fibermesh and steel reinforcingfor added strength. The risers are usually 7 1/2 inches high and treads 11 1/2 inches wide. The sidewall, tread, and riser thickness is usually 2 1/2 inches thick. For precast stairs that come with a top platform or landing, the platform measures 42 inches by 4, 5, or 6 feet wide. For prefab concrete stairs without a top platform the standard width of the top stair tread is 14 inches wide. 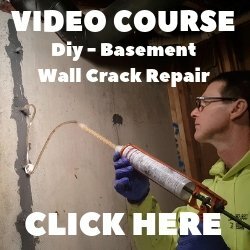 In most cases prefab concrete stairs will be less expensive, installed quicker, and able to put to use faster than regular poured in place concrete steps. 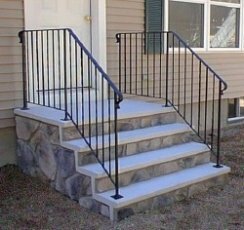 Click on CONCRETE PORCH STEPS to see some great ideas about poured in place concrete steps. 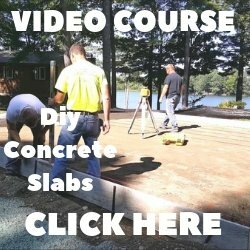 To learn how to build your own concrete steps click on BUILDING CONCRETE STEPS.